Did you ever read the Saddle Club books when you were a kid? I did. I loved them. I also read children’s books about girls who figure skated—not because I personally participated in activities like horseback riding and ice skating, but because they were totally outside my experience and therefore glamorous. This book is like Saddle Club, except imagine the main character is 8-10 years older and at that stage of life when hormones are pumping through her like someone left the valve open on a fire hydrant, making her wild with lust and ripe for some bad decision-making. Yeeeeeehaw! Thea Atwell has spent a beyond-sheltered childhood, secluded from everyone but her close family members, on a thousand acres in central Florida in the early 1930s. She has always been content with her life, small in scope though it has been—she has her pony Sasi, her twin brother Sam, and her cousin Georgie. Inevitably, however, the isolation shatters her perfect life. 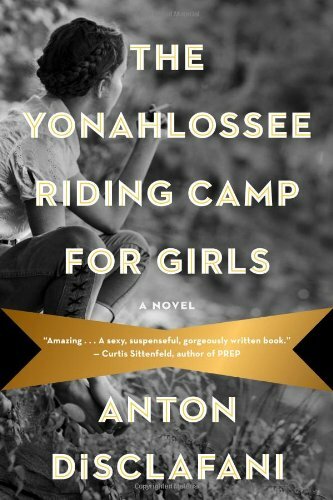 In the aftermath of a family tragedy, her parents send her to an all-girls boarding school/riding camp in North Carolina. Thea shows pretty terrible judgment throughout the book, and is at times whiny and selfish, but don’t let that be a deterrent to you. Where is it written that narrators must be likable? And what teenage girl isn’t whiny and selfish? There’s something alluring about witnessing someone else’s destructive choices, and I found myself really enjoying the schadenfreude. And Thea isn’t shallow or blasé about her failings; she owns them all and shoulders a hefty load of guilt. The end of the book does not reveal her to be a woman who has learned from her mistakes or is even particularly changed by them, but she has settled into herself, comfortably and unapologetically. She has let go of her need for approval—from her parents, from her brother, from the girls at the camp. She can’t change the past or fix what she broke, but she can forge ahead, salvaging what remains of her life.